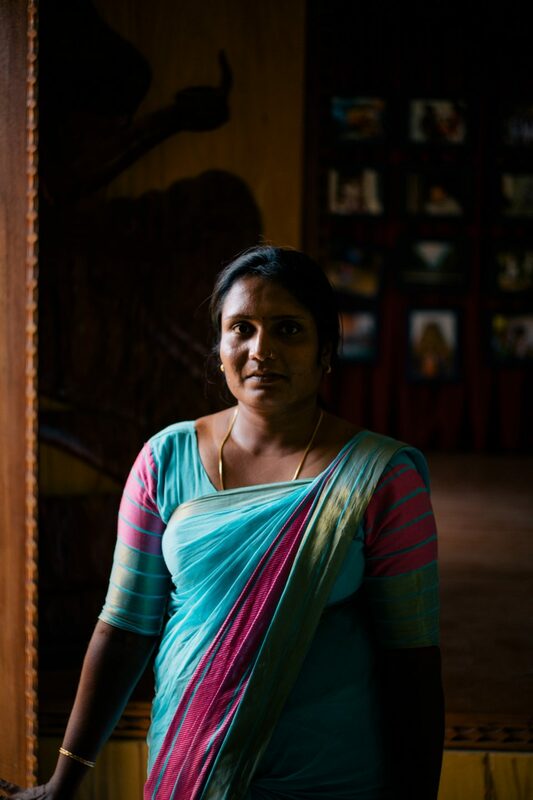 Kaushayla’s husband disappeared during the 25-year civil war in Sri Lanka. To this day he has not returned. 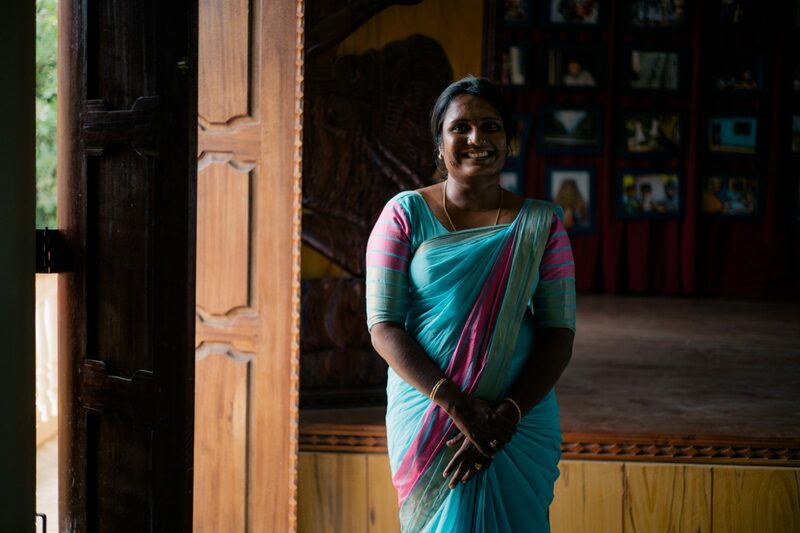 But through a network of women all similarly affected by the war, Kaushayla has found a network of people she can connect with. Now she helps run local projects supporting women to run their own small businesses. My name is Kaushalya. I am 42 years old from Jaffna, Sri Lanka. I married my husband in 2000. He was a karate master. In 2007, he was kidnapped in a white van. It was just two years before the war ended. He is still missing to this day. My husband’s skill as a karate master made him seem dangerous. This led to his disappearance. No-one knows if he will ever return. Since my husband went missing, I have taken care of my son and daughter. I am a self-employed baker, I sell handmade cards and I’m engaged in social activities. 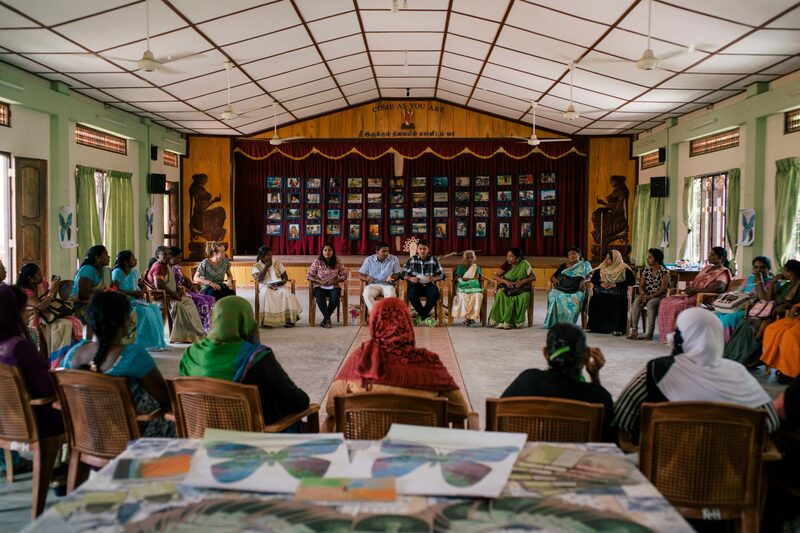 I originally joined the Centre for Peacebuilding and Reconciliation (CPBR) as a member of their women’s team, along with many other women who have been affected by the war. Since then, I’ve become a Field Officer for the organisation. CPBR personally interviewed me to find out how women who have lost their husbands are suffering. They asked what support women wanted, how could we help them rebuild their lives? We discovered that tools for women to become self-sufficient would be the most useful. 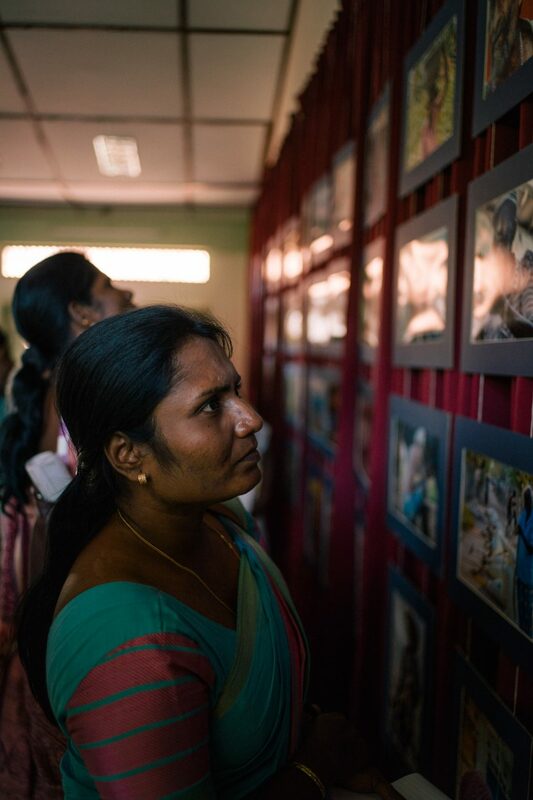 We discussed it with women from all over the north of Sri Lanka whose husbands are either missing or imprisoned. At the ground level women want to be independent, self-employed or on the road to becoming self-employed. We just needed the start-up skills and tools. That would be enough. Then we could make it on our own. Women want to be independent, self-employed or on the road to becoming self-employed. We just needed the start-up skills and tools. That would be enough. Then we could make it on our own. CPBR has allowed us to become self-employed, to be independent. The donation of new sewing machines means we can now make tops and other items of clothing. Comprehensive training and tailoring lessons have meant we now have an income-generating skill for the future. CPBR also helps our children. They educate them, giving them important skills for their future. CPBR sponsored one lady to take computer classes, so she could gain key skills for the modern workplace. Being part of CPBR has allowed me to meet both mothers and sisters from different districts who have suffered similar experiences to myself. Meeting them has put everything into perspective. The things I have suffered feel smaller compared to the issues these women face. My children are my future. I hope to bring them up well and lead them into a good job. My son is 17 and already captain of the under-19 cricket team at his school. He is a champion! Bringing them up will be a challenge, but I am determined to face that challenge head-on and show that women are able to do it alone. Thanks to CPBR, I now have a network of people I can rely on. I feel part of a sisterhood of women, all from different religions and backgrounds, brought together through our similar experiences. For this, I am truly grateful.